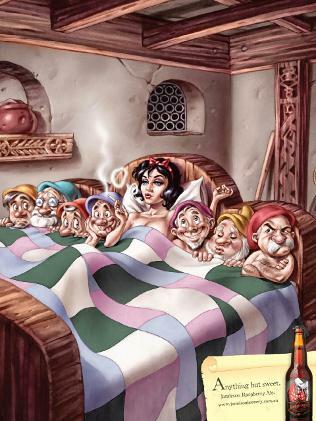 This is Snow White like you’ve never seen before. Or Rather, Ho White. Snow White was cast as the lead spokeswoman for the Jamieson’s Raspberry Ale campaign, launched by brewers The Foundry online this week. 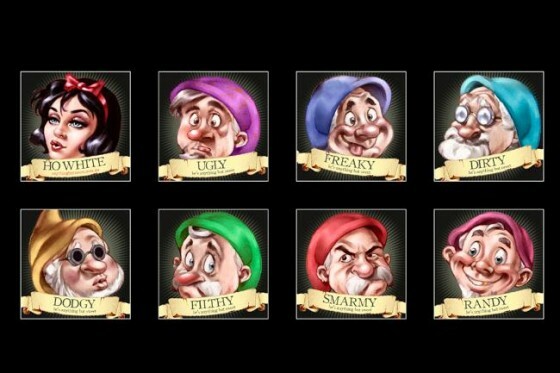 Here are some official head shots of Ho White and her 7 naughty Dwarfs. The ad campaign was initially designed to convince Australian drinkers the fruit-flavoured beer was “anything but sweet”. So far its been quite a success, launching the new beer-fruit-cocktail into position to overtake Fosters.